Waltham Pest Control takes pride in our company and the services we perform. We promise to give our commercial and residential customers the best service possible and stand by our work. Quick service, very informative polite and professional. great service , thank you bill Luther. I was very happy with how professional Jose was. I was very upset to know we had a rat problem. But, he put my fears to rest and made me feel better about the situation. He explained things and really listened to me. Waltham Pest Control gives excellent service. Thank you Nadine....We're here when you need us!! You came yesterday. and tonight we are seeing three mice walking around. Can you return to treat this issue? Long term (Newton Church) customer of Waltham Pest and had the pleasure of having "Ray" out this morning - professional, polite, efficient and helpful - Waltham Pest's long term maintenance programs are unmatched - friendly technicians, regular "no fuss" visits, great value and NO PESTS! five stars. There are 2 really great reasons why you should call Waltham Pest Control: they are professional, friendly, and honest, and they are exactly the type of local company that is great to find in this area. Great job Will continue using company. Thank you for the kind words Joe....We look forward to continuing a great relationship with you and giving you great service! Always very responsive and do the job. No more critters!!! I am very happy with the services that Waltham Pest Control has been providing us. They are very professional and scheduling (and rescheduling) is very easy. Service was fast and they were very easy to deal with. Highly recommend them. I had been having a problem with carpenter ants in the house for years. So, last year I called Waltham pest control and John came right out and treated the areas inside and out where the ants were. After several days the ants in my bedroom were gone and more than one year later I'm so happy to say that I haven't had one ant inside my house. I am so pleased with the service I received and of course the great results! Came when they said they would, removed all wasps nests, and wound up charging less than they quoted. Prompt professional service. Bees are gone. The service representative from Waltham Pest was prompt, efficient and curtious. Always on time; dependable service. Thank you. Thank you Kathleen...It is a pleasure serving you!! 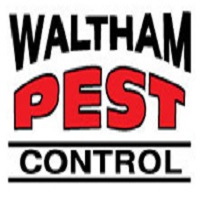 Waltham Pest was very prompt, thorough and Honest with their service. I would use them again and recommend them to other clients! Thank you Caitlyn for the kind words. John was very knowledgeable and friendly, came back for one year check on our termite service and they didn't come back. Definitely recommend! Excellent job by John Bova! I haven't seen an ant or bug around the home since he performed the application. I am very pleased! Thank you for the kind words Jack!! I will be sure to let John know. Waltham Pest is the best. It's easy to book an appointment...they arrive on time and do a great job!!! Can't say enough good things about their service!!! I am very happy with the service....came on time..very courteous. A thorough survey, finding more damage than I had realized, yet not over-recommending treatments that were not necessary. No effort to sell me maintenance packages that other companies had tried to do (without success). WPC earned my trust again (as they had two decades back). Thank you Julian....We appreciate the kind words! We were very happy w the service. The service person was on time, polite and helpful. Eager to see if the ants return! So happy your are happy with our service!! Great service that shows that they care about their customers! Thank you for the kind words David! Mark did a great job of looking over there property for pest issues. Thank you Karen for the kind words!! John was very prompt , professional and knowledgeable! I was very pleased with the service I got. Great job. My daughter is happy with the service. Everything was done well and explained well. So happy to hear your are satisfied with the service. Courteous, kind and efficient. Can't ask for more. showed up on time. did the job. accepted the angie's list coupon. what more can one expect? Eric Homan did a great job. I am so sorry he is no longer with you. So far, so good. Hope we're rid of those critters forever! No ants! Very responsive service. Good service. Need to answer phones more efficiently. Very good service, very nice technician! Eric came for the inspection and he was great. He let us know what was going on in the attic (bats)and exactly how he’d fix the problem and gave us an estimate. A week later he and another worker showed up in the time window they gave us and said we didn’t even have to be home while they were working. I would recommend this company.